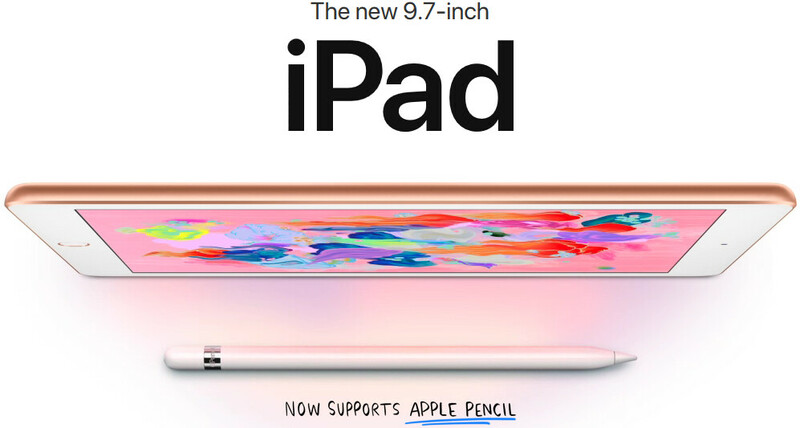 Yesterday, Apple announced a brand new tablet that’s simply called the “new 9.7-inch iPad.” Succeeding the 9.7-inch iPad of 2017, the new iPad comes with Apple Pencil support, and is already available to buy in the US - prices start at $329 (32 GB, Wi-Fi-only) and go up to $559 (128 GB, Wi-Fi + Cellular). It looks like the iPad trade up program is available not just for the new 9.7-inch iPad, but also for the iPad Pro. However, the iPad Mini 4 doesn’t seem to be included here. Trade ins can be made both in Apple Stores nationwide, and online - for more details, check out Apple’s website via the source link below. New 9.7-inch iPad vs iPad Pro and the old 9.7-inch iPad: what's different, anyway? $285 trade-in value for any version of the iPad Pro is criminal. Be smart & sell your device to a friend or online. No one. You can trade in any of the iPad models they mentioned for any iPad currently available for sale, not just the new one. trade in the working Ipad-air 2 for $185? Really?